When Do I Need an Alta Survey? The short answer to this question is yes, as this particular type of survey has many uses. Alta means American Land Title Association, which is responsible for outlining certain standards for land survey work. As such, an Alta survey meets the highest standards of quality. Therefore, it can be recognized throughout the U.S.. Landmark Professional Surveying, Inc. can provide you with an Alta survey. They have helped many Las Cruces residents by providing quality surveys and they can help you too. On the downside, these types of surveys are usually a bit pricey than your average survey. This causes most people to question whether they actually need one or not. After all, how much better can they really be? The answer to that question is a little harder to see, but overall, the cost tends to even out in the long run. Still knowing when to get an Alta survey done can be hard for the average Joe. One bank might say you need it, while another may say you do not. The best way to tell is to consider the following criteria. Having an Alta survey can make buying or selling your land much easier. These types of surveys are incredibly detailed. As such, they reveal just about anything that anybody could possibly want to know about your land. From utility lines to fences, boundaries and roads to improvements and possible encroachments. Besides physically going to the land in question, it would be hard to get such a detailed description of the land. In fact, the survey may actually be more useful than a pair of eyes. Having such a document helps any prospective buyer decide on whether they want the land or not. It can help you as a buyer as well. An Alta survey can help you get a better refinancing rate for your land. Most lenders want to avoid survey risks, such as boundary disputes. This is because such disputes can lead to lawsuits later on and no one wants to be involved in such risks. Having this detailed survey can help ease the lenders mind and highlight the value of your land. As result, you are more likely to get a better offer. Landmark Professional Survey Inc. can help you get the Alta survey you need. We have experience surveying the Las Cruces area and can bring quality results. Call us today to get started with an appointment. Categories: ALTA survey, Las Cruces NM Tags: ALTA, ALTA survey, American Land Title Association, buying or selling land, do you need an ALTA survey, land surveying, land value, refinancing land Comments Off on When Do I Need an Alta Survey? If you are buying a piece of land in Las Cruces, you have probably been asked by the bank or titling company for an ALTA survey. You may be irritated that you need to obtain such a detailed land survey, but this document provides a wealth of info about the property at hand. It may be more costly, but it is an excellent document to have to avoid issues later on down the line. We have answered a few frequently asked questions about these specific surveys here. Why Do I Need an ALTA Survey? This land survey is quite detailed, as mentioned before. It can be a bit more costly than the average land survey, but with reason. Title companies as well as lenders may ask for this survey. It can happen either when you are buying, selling or refinancing a property. Most often times, lenders are looking to avoid “survey risks.” This can include disputes over boundaries, encroachments and other difficult issues that can lead to problems and even lawsuits down the line. An ALTA Survey would reveal any of these issues and more. Even if the bank or titling company doesn’t require you to purchase this detailed survey, it may be advisable to avoid problems. This can be especially true when purchasing vacant land that has never been surveyed, or has been survey over a decade ago. Why is an ALTA Survey More Costly? Some land buyers in Las Cruces may be unhappy with the higher cost of an ALTA Survey. However, this type of survey is only performed by a registered, licensed surveyor. It means specific standards outlined by the American Land Title Association (ALTA) and the American Congress of Surveying and Mapping (ACSM). In essence, this survey meets the highest standards recognized throughout the U.S. It includes much more detail than most other land surveys. This can include boundaries, fences, utility lines, roads, easements and areas that have been improved. How Do I Get Started With a Land Survey? 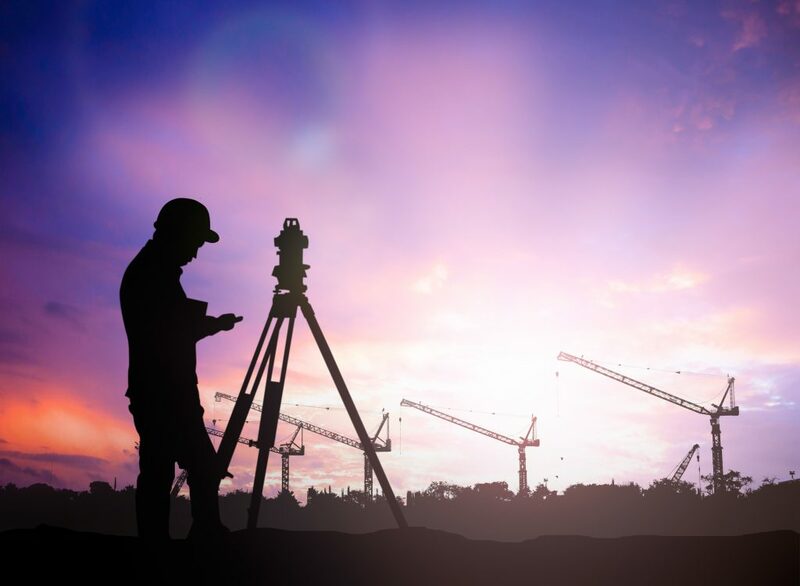 Getting started with any kind of survey in Las Cruces is as simple as calling us up at Land-Mark Professional Surveying, Inc.. We are one of the best and most reliable land surveyors in the Southwest. We provide a wealth of services to help you with your property. Whether you are buying, selling or refinancing a piece of land, our certified experts can help. Contact us today for more info. A land survey and a construction survey are two different types of surveys that actually serve very different purposes. If you are settles a land dispute or want to find the proper boundaries of your land, a land survey is the right tool for you. However if you are an engineer creating plans for an upcoming hospital or highway in Las Cruces you will want a construction survey. While a land surveyor will conduct both of these, knowing precisely what you need is important. At Land-Mark Professional Surveys Inc. we can help with either of these services. Our professionals have the expert knowledge and skills you are looking for. A land surveyor is a licensed expert that is responsible for survey results. They utilize many tools and techniques to determine land boundaries, corners, and monuments, and the size of a piece of property. These professionals are skilled at using historical evidence, documents, mathematical equations, and surveying tools to conduct their work. A land survey is usually used for legal purposes, creating accurate maps, or during real estate deals. 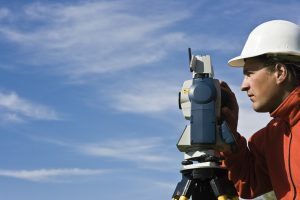 A land surveyor in Las Cruces can help settle disputes and help with traffic accidents as well. They also provide valuable info for breaking land into blocks and parks. A construction survey provides valuable info for builders and engineers in Las Cruces. They will survey a given plot of land to determine the best building practices. 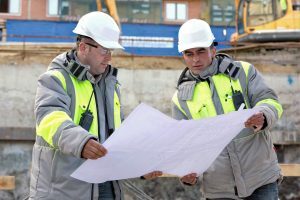 They may provide info on the best location for a foundation, drainage, and other info concerning the land that is helpful for erecting buildings.This invaluable information prevents engineers from making costly mistakes. It can also help with wise decision making. When it comes to highways and freeways they can also provide info about the land and measurements. The construction survey can be especially helpful with large projects that require extra planning. Land-Mark Professional Surveys, Inc. has been providing surveying services to the southwest region for nearly 30 years. If you are looking for reliable, accurate surveys, don’t hesitate to contact us. We are extremely familiar with the Las Cruces area and can provide the expert knowledge and skills you are looking for. 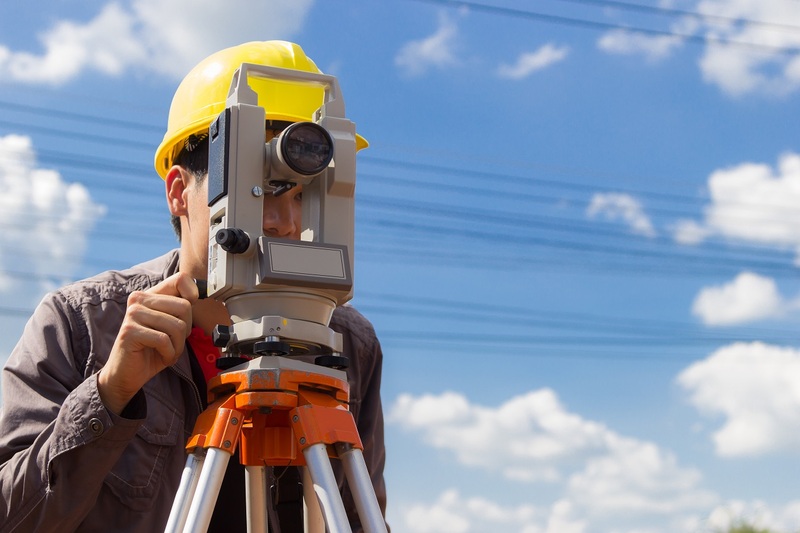 Whether you need a construction or land survey, we can help. Be sure to call us today. One of our professionals will be happy to answer your questions or set up an appointment. If you require ALTA surveys in Las Cruces, you’re taking part in a historical moment. Land surveys and land surveyors have been a crucial part of American history for centuries. In fact, many presidents of this great country had the distinction of being land surveyors at one point or another. If you require assistance with ALTA surveys in Las Cruces, choose Land-Mark Professional Land Surveyors! George Washington, Thomas Jefferson and Abraham Lincoln have more in common than the presidency. They all worked as land surveyors. In fact, the first two were Surveyor General for Virginia. At the young age of 17, George Washington was appointed as the Surveyor General of Virginia. Years later, Thomas Jefferson received the same designation as Washington, as County Surveyor for Albemarle County in Virginia. Under Jefferson’s careful tutelage, he appointed surveyors which resulted in the necessary direction to achieve the most orderly settlement acquisition. Abraham Lincoln served as Deputy County Surveyor in 1833, at the age of 24. In less than thirty years, he would become the 16th President of the United States. 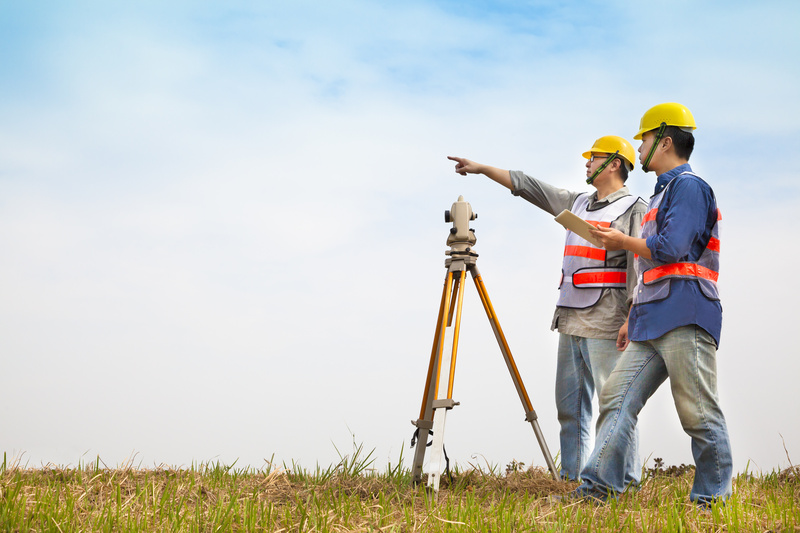 The art of land surveying requires an individual to have careful and proper foresight. Through proper land surveying, the space can be used to its fullest extent. Land surveying is an apt metaphor for the presidency. The three men listed above undoubtedly used the skills and experiences they gained from their days of land surveying during their presidencies. It’s no wonder why they helped shaped the United States we know today! Although Merriwether Lewis and William Clark may be most well known for their expedition, they got their start as land surveyors. Their days as land surveyors gave them the skills necessary to properly traverse through the land acquired in the Louisiana Purchase. Basically doubling the size of the United States, the Louisiana Purchase is seen as one of the most important chapters in early American history. ALTA surveys in Las Cruces make use of the decades and decades of history and importance set before them. ALTA surveys follow strict guidelines set forth by the American Land Title Association, which got it start in 1907. Land surveying is deeply rooted in American history. If you require an ALTA surveys in Las Cruces, contact Land-Mark Professional Land Surveyors today! We understand the importance of land surveying so our services are as reliable and dependable as you deserve them to be. The city of Las Cruces, New Mexico is quickly growing. 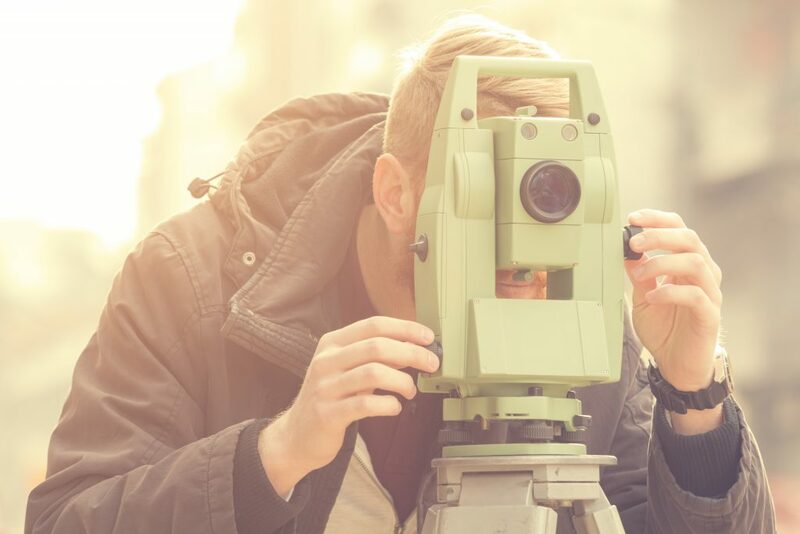 In order to accommodate for all the new, exciting opportunities that are making their home in the city, future entrepreneurs must team up with a land surveyor. This way, the land will be perfectly surveyed so any construction can take place correctly. 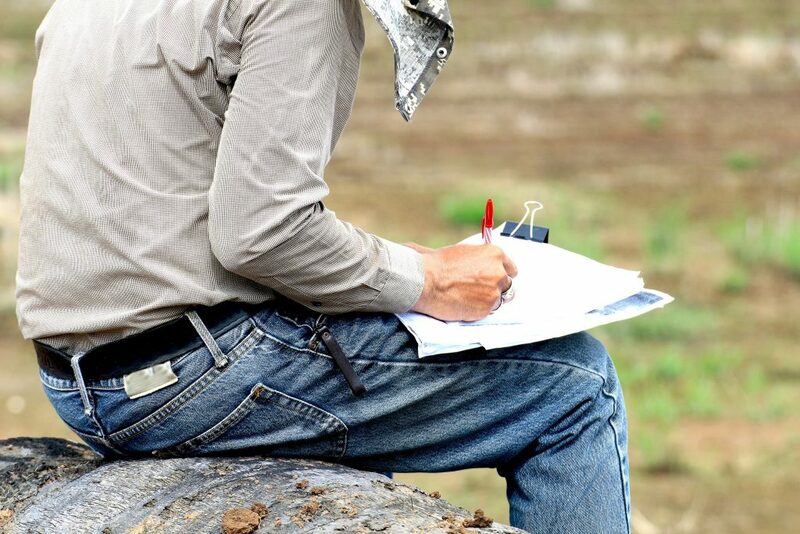 Land surveys are the first “foundation” before any project can take place. Make sure you’re starting off on the right foot, choose Land-Mark Professional Surveying as your team today. Land surveying has been an important part of human history for centuries. Nowadays, land surveyors makes use of highly advanced tools and practices in order to yield the most precise results. But why exactly is land surveying necessary, especially in this day and age where everything is accounted for? Well, that’s exactly the answer! Since everything is “accounted for,” a land surveyor can make sure the land which you consider your land is actually your land. 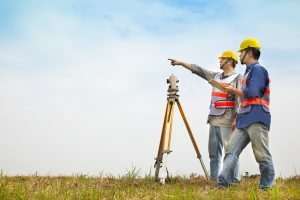 Without land surveying, disputes can arise. Instead of dealing with this uncomfortable outcome, you can team up with a land surveyor! Land surveyors make use of a plethora of studies in order achieve the most precise results. Geometry, trigonometry, physics and engineering are just a few of the elements that go into correctly surveying land. In addition to these sciences and mathematics, surveyors understand the proper laws. With this knowledge, your land can be surveyed accordingly and your project can move ahead without a hitch. Land surveyors make use of equipment to yield the best results. 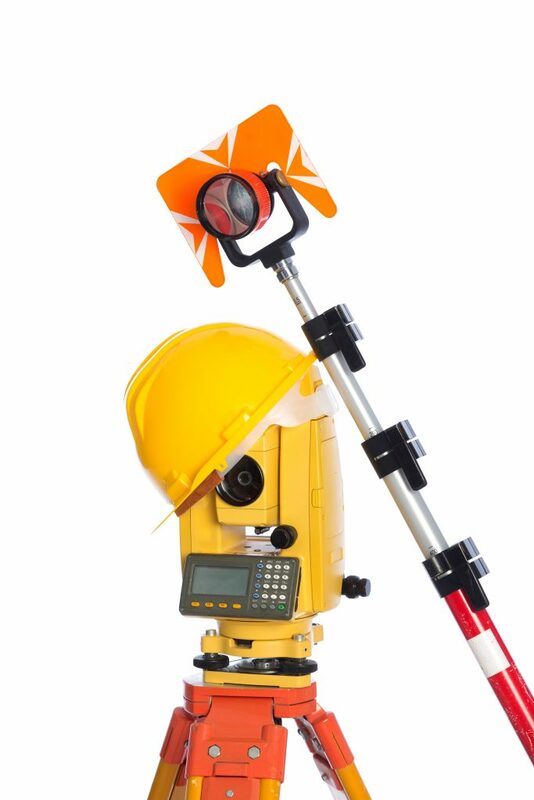 Theodolites and global positioning systems are the land surveyor’s best friend. With these tools, the land will be surveyed for as precisely as possible. Any entrepreneur who’s looking to build a new building over a plot of land they’ve just bought must first team up with a land surveying team. This way, the land will be properly accounted for and the boundaries will be set. Avoiding to do this can result in negative consequences. Say you build a large building in the plot of land you bought. If a few feet of your building bleed into the neighboring land (even if the land is barren and empty) you’re illegally on someone else’s land. This can end up in court, which is something you’d like to avoid. Land-Mark Professional Surveying is ready to help. Contact us today to learn more about what we have to offer! How Can Construction Surveys Help Zoning Projects? Establishing ownership and jurisdiction over land can seem impossible. Does it matter if someone built on it before? If there is someone else’s property on it? Or if the land has shifted and changed over time? All of these questions can be solved by getting a land survey. This is especially true for the developing city of Las Cruces. Land-Mark Professional Surveying can do quality construction surveys in Las Cruces. Before getting a survey done on any piece of land, you should know what it is for and how to use them. What Do Construction Surveys Help? Construction surveys can help any construction project avoid problems. Surveys are often done to mark out land boundaries. This can be done to clarify property and ownership. It is particularly useful whenever issues with a building are concerned. This is because a survey takes the original land grants and measure out their dimensions on the property. Land can change over time. But land documents do not. This makes a survey the best and easiest way to establish boundaries. For construction, survey’s work the same way, but on a larger scale. First, they take the land dimensions from the contract or deed. Then they measure those dimensions out on the land. This gives the builders a clear boundary, allowing for buildings to be built within the proper boundaries. This is extremely helpful for land that is not developed. The survey will mark off the area and allow builders and architects to create proper buildings for it. When Can You Use Surveys? Having construction surveys done helps avoid future problems. Just like with households, land can change over time. Having a survey done makes sure that the building is within its proper boundaries. This avoids problems for neighbors and new development. In addition to this, you can judge whether the land you have is enough for the building you want to build. If you buy land adjacent to your current land, having a survey done will reestablish property as well. Information documented by a survey can be used as legal claims in court too. All of this helps you avoid issues while building. Surveys are important to development. They help mark and maintain boundaries for construction. This is important for creating a legal and sustainable property for years to come. It also helps avoid trespassing and ownership problems later. Land-Mark Professional Surveying is experienced with construction surveys in Las Cruces. No matter the issue, they can help clarify it. The best way to establish property and ownership is through a survey. No matter what, land dimensions outlined in a deed do not change, even if the land it is for does. This is how surveys can help clarify issues of property, especially when the land in question is being built on. Categories: Construction survey, Las Cruces NM Tags: benefits of construction surveys, benefits of land surveys, construction surveys, construction surveys in Las Cruces, importance of construction surveys, las cruces construction surveys Comments Off on How Can Construction Surveys Help Zoning Projects? There are probably many jobs most people haven’t heard of, like snake milkers and professional bridesmaids. A land surveyor, however, plays a significant role in building and construction. Before you build or renovate anything, it’s best to contact someone from Land-Mark Professional Surveying to help ensure you’re on the right track with your project. A land surveyor is also known as a cartographer. A person in this field measures and maps the environment using mathematics along with specialized technology and equipment. They can measure just about anything on land, in the sky or on the ocean bed. They can even measure polar ice-caps. Land Surveyors work with engineers, architects and builders so as to produce precise descriptions of the surface of the planet. They also perform a variety of vital tasks including boundary surveys, topographic mapping, and construction staking. You may need a surveyor to help measure your property in order to determine its boundaries. This information determines where roads or buildings should be constructed, settles property line disputes, and leads to the creation of maps. Moreover, any maps or land descriptions they supply are usually considered legally binding and can be presented in a courtroom setting. This profession requires people to be trained and licensed in order to work.. According to the U.S. Bureau of Labor Statistics, ” the duties of a land surveyor include making a record of the ‘distances, directions and angles between two points’ on the ground, using agreed-upon reference points, called benchmarks, as a starting point.” Surveyors also use global positioning technology to confirm a specific location. They carefully define the boundaries of interest, using both their on-site surveys and records found in land offices, in order to write the legal description of a parcel of land. Furthermore, land surveyors may use a geographic information system device to prepare a highly detailed, layered map of the results of a survey, in order to show all easements, soil conditions, and structures contained on a particular parcel. Surveys filed and recorded in public repositories, including county or parish clerk’s offices, are considered public records documents. Both Michael Douglas and Hugh Grant starred in movies that had land surveyors as main characters. In addition, three out of the four presidents on Mount Rushmore, George Washington, Thomas Jefferson, and Abraham Lincoln, started as surveyors, as did Lewis and Clark. The Egyptian pyramids influenced land surveying. Land surveyors still use many of the tactics used back then today. While not quite that old, Land-Mark Professional Surveying of Las Cruces has been in business since 1991. Put our 25 years of experience to work the next time you need property in the southwest region surveyed. Categories: land surveyor, Las Cruces NM Tags: hiring a land surveyor, land surveyor, land surveyor el paso, land surveyor las cruces, land surveyor new mexico, what is a land surveyor Comments Off on What is a Land Surveyor? A land surveyor has a wealth of information available and can tell you extensive details about your land. If you are considering doing any developments or making any improvements to land in Las Cruces or surrounding areas, you need to get a surveyor to help you first. Land-Mark Professional Surveying, Inc. can provide all of the information that you need to be fully informed on the features of the land you own or are considering purchasing. A survey also offers great information for selling land. First and foremost, a land surveyor can tell you what the boundaries are on your property. You need to know exactly what plot of land you own in the Las Cruces area so you do not accidentally put any of your improvements onto property that is owned by someone else. Knowing boundaries is essential when land is sold. It’ also useful info if there is a dispute over who a given portion of a property belongs to. A land surveyor can also tell you much more than just where the boundaries are through. A surveyor can tell you where easements and encumbrances are. You will also find out where the city has placed utility lines, what improvements previous owners made to the property. With certain types of surveys you can also find out what a property’s elevation is, and what the topographical features of a property are. All of this is essential because you don’t want to end up digging into utility lines, encroaching on easements, or unexpectedly purchasing a house or locating a building in a flood plane. There will always be opportunity for city growth it is just a matter of defining where it is possible to grow. Sure there might be a lot of available land, however not all of it might be usable land; there’s where land planning comes in. Land planning involves a series of steps and procedures to determine if the land in question is a good fit for the client. You will also find out whether it’s a residential, commercial, or municipal client. The first thing to assert would be the quality and sustainability of the land. To do this, there are a series of surveys that can be done. Landmark Professional Surveying Inc. offers a wide variety of surveys to provide you with the most accurate and up to date information about the land. You can purchase topography surveys, boundary surveys, and ALTA surveys (for inherited lands). A surveyor can also conduct land improvement surveys, state land surveys, as well as elevation certificates and right-of-way maps. Land-Mark Professional Surveying, Inc. is here to help if you need an experienced land surveyor. Las Cruces property owners and those considering purchasing property in the area can contact us any time. We will be happy to schedule a survey to obtain detailed information about a given piece of property. A land surveyor may seem like a strange term, but there really is need for a land surveyor in Las Cruces. In places like Las Cruces where there is plenty of land that is uninhabited, it’s important to have land surveyed in order to know property boundaries. It’s also important before beginning a construction project. Here at LandMark Professional Surveying, we can help you with both. Someone may own a certain amount of property. Usually, they’ll know the exact size of the land. However, very few property owners are aware of exactly where their boundary lines are. A surveyor in Las Cruces can use special equipment to figure out just exactly where those legal boundaries are. 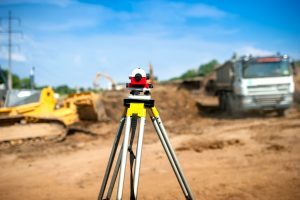 A surveyor in Las Cruces, especially ours here at LandMark Professional Surveying, should use modern surveying techniques to determine legal boundary lines for property owners. Cities or private owners most commonly contract surveyors to measure land for a property sales and other such transactions related to land. Sometimes a lending company or band will require you to purchase a survey. Whenever a construction project is about to begin, a land surveyor in Las Cruces will need to survey, or measure, the land. This is done so that the contractors and all parties involved are aware of the landscape. The measuring of the land is useful for construction companies when they begin to plan out just how they are going to execute a project. It’s vital that a construction company is aware of the 3-D measurements of property in order to properly build. It’s also important for a professional land surveyor in Las Cruces to be as precise as possible. We deliver precise and professional services at LandMark Professional Surveying. If you need your land surveyed or measured professionally in Las Cruces, give us a call at LandMark Professional Surveying. We’d be happy to consult with you about surveying your property, as well as any of our other services. We hope to hear from you soon! If you are curious about what is involved in construction surveys, hopefully the following information will serve helpful in breaking it down. Clearly the Las Cruces area has been growing in recent decades. This is mainly due to an influx of retirees and government employment. With this increase comes the need to build roadways and new structures capable of withstanding the demands of environmental and human engagement. Our company, Land-Mark Professional Surveying Inc. is comprised of professionals in the land surveying industry, ready to perform the first step in new building plan developments. It is important to understand the basics of surveys. Construction surveyors are land surveyors who have specialized training in the field of construction. It is also vital to remember that most construction projects can’t start without a survey. The surveys provide invaluable information that you can’t be see by simply looking at the land. This type of surveyorship is used to analyze the reference points necessary to guide construction. These points are then used to establish the best place for new highways, bridges, buildings, pipes etc. to exist. Preliminary construction plans will show various views of the project. They will include views from above, transparent views and cross-section views. These different views help the construction project remain accurate during every phase. Once the surveyor has conducted the survey thoroughly, developers refer back to it during construction in order to verify correct application. Afterwards, engineers will conduct an “As-Built” survey to ensure the specifications set on the plans match the final outcome. The process of construction surveys in Las Cruces plays a vital role. When it comes to developing an expansive construction project you will definitely need a surveyor. Many individuals rely on this accuracy given their daily interaction with these new roadways or structures. At Land-Mark Professional Surveying Inc., we make it a priority to examine a construction project with the highest level of accuracy and professionalism in the industry. If you would like more information on construction surveys or how to have one performed for your next project, contact us today!